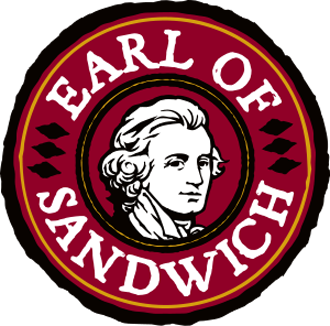 Earl of Sandwich, with more than two-dozen locations nation-wide, is the preferred choice for convenient healthy meals and those seeking the World’s Greatest Hot Sandwich. “Earl of Sandwich is known for the World’s Greatest Hot Sandwich. We now have great wraps, salads, and soups to match,” says Steve Heeley, President & CEO of Orlando based Earl of Sandwich. Both Chris Rauschnot and I were invited to a tasting and had a few moments with President & CEO Steve Heeley. Was good to hear the success they have had at their popular Disneyland location and upcoming thoughts of expansion. The rest of our group had special needs, vegetarian, and Earl of Sandwich was more than happy to create salads and wraps for their consideration. Everyone enjoyed their selections and all took remainders of salads, sandwiches and desserts along with them home. 8 great new “Greens” Hand Tossed Salads, including a Berry, Almond & Chicken Salad, BBQ Chicken, and Thai Salads. As you can see from the photos the fruits and vegetables were fresh, ripe and plentiful. Every bite of my Berry, Almond and Chicken Salad had a tasty morsel. 7 great new “Hand Crafted” Wraps including Buffalo Chicken, Baja Chicken, and the Chicken, Bacon & Avocado Wraps. Two great new hot sandwiches join the all-star line-up the Holiday Turkey Sandwich, now offered as a year round favorite, and the flavorful Chipotle Chicken Avocado Sandwich, featuring fresh sliced avocado. My favorite is definitely the hot Holiday Turkey Sandwich. The heated sandwich comes with generous slices of turkey, mayo, cranberries and a hearty bun reminds me of Thanksgiving in a portable package. Delicious. Of course, you’ll want dessert after a tasty sandwich. 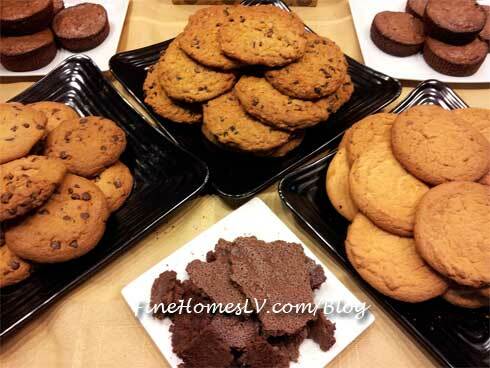 They have a great selection of cookies and brownies. Earl of Sandwich is known as being THE WORLD’S GREATEST HOT SANDWICH and they also offer great salads, wraps, soups as well as breakfast sandwiches and healthy options, too.